We are a leading Manufacturer of decorative stair from Chennai, India. Owing to our vast experience in this domain, we are engaged in offering an excellent range of Decorative Stair. 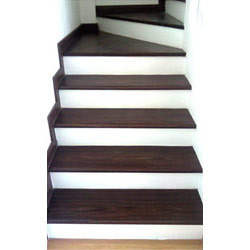 This decorative stair is manufactured utilizing supreme class raw material and modern techniques following the set norms of market. The offered decorative stair is available in varied specifications and can also be customized as per the needs of clients. Our decorative stair is valued among customers owing to its superior finish. Looking for Decorative Stair ?